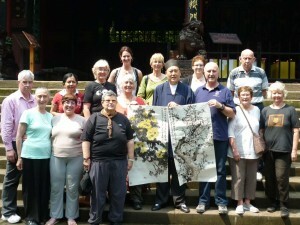 Since 1999 Qigong Master Simon Blow has been personally leading unique Study Tours to China. We visit China not only to view the beautiful scenery, but mainly to absorb the ancient wisdom and contact the Qi at the sacred mountains. Travelling with a smaller, dedicated group allows us to move more freely and make morning Qigong practice an enjoyable way to start each day. 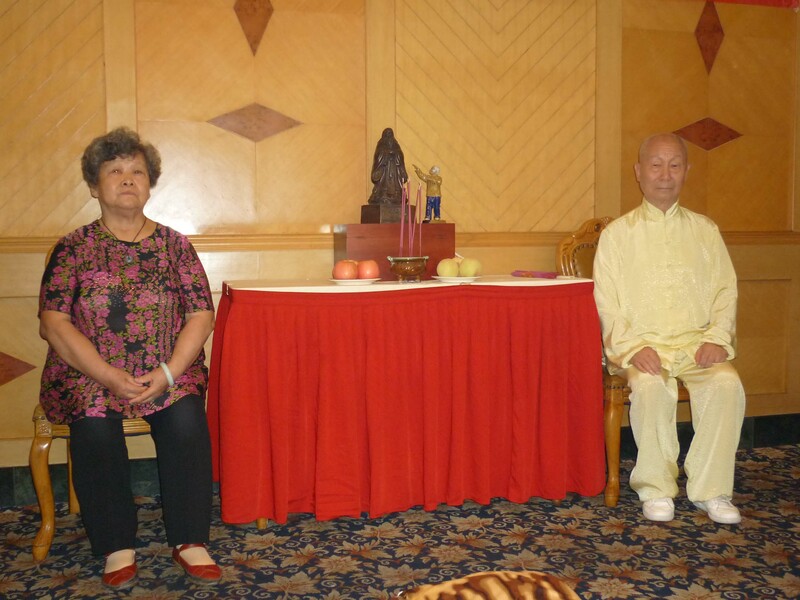 We study with Qigong Grand Masters, Traditional Chinese Medicine (TCM) Professors, Daoist Priests and Buddhist Monks and receive formal training and certification. These tours are designed for the true Qigong enthusiast wanting to go to the source and for those wanting to increase their understanding of Qi energy and tour a fascinating country. 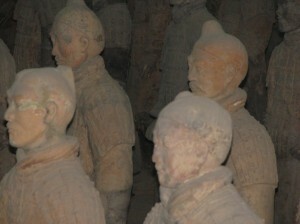 All tours have an element of study combined with cultural activities and sightseeing. We visit Traditional Chinese Medicine hospitals and universities; temples and monasteries; we will meet Masters of traditional painting and calligraphy and be entertained by local choir and music groups. We explore the countryside visiting the sacred mountains, following the ancient tradition practices. As we meditate together here with Grand Masters. The Qi will always be with you. Climbing the Great Wall, feeling the energy at the temples and meeting the masters made for a perfect balance of tourism and Qigong learning. Our small group was such a delight, filled with love, support and heaps of fun. My sincere gratitude goes to Master Simon Blow for making this journey possible. A short pilgrimage that has deepened my feelings for China and its people, a deeper understanding and appreciation for the magical gifts of Qigong. The whole experience was heart opening and enriching in all areas of my being – spiritually, emotionally, physically and mentally. Although every aspect of the tour was professionally provided with excellence, there are two things that will remain in my heart; they are the soul and essence of the people and Mt Wudang. The splendor and magical spirit of the mountain remains in my consciousness and presence. 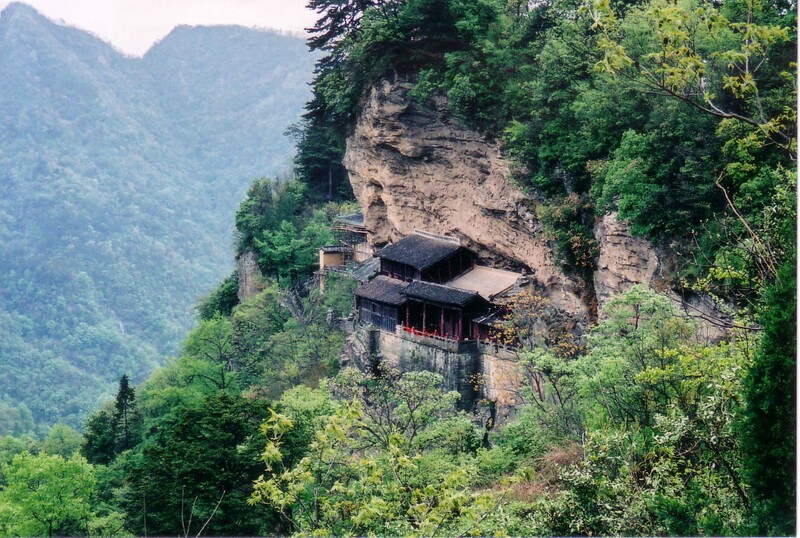 I find myself often returning back to Mt Wudang. My qigong practice is forever enriched!! I continue this path towards natural harmony and the cultivation of nothingness, the true essence of the Universe and our existence. Qigong, pronounced Chi-Gung, is one of the great treasures of Chinese culture and a component of the holistic system of Traditional Chinese Medicine. Its origins can be traced for over five thousand years through the Daoist Tradition. Other healing arts from this tradition include acupuncture, feng shui, herbal medicine and therapeutic massage. These unique tours of 10 to 20 people aim to take you to the source of these ancient healing arts, to the places where they were developed over thousands of years and are still practiced today. Together with our tour partners YBL Travel and Tours in Melbourne and Cultural Interchange Beijing in China, we have created a tour package including return air fare visa application fee, all transfers and transport in China, twin-share accommodation in good quality hotels, three meals per day, entry to attractions, Qigong training and certification and much more. People from all over Australia, the US, UK and Europe, from all walks of life have gained knowledge about this ancient culture and helped improve their understanding and quality of life. Mr Jing Zhang from Cultural interchange Beijing has arranged our tours for many years and has become a good friend and is my Daoist brother. He picks us up at the airport, personally guiding us through China. We meet his friends and family giving us a unique insight to this fascinating country. He makes our journey very smooth, saying goodbye at the airport, until the next time we visit. During the 2019 tour we will gain a deep understanding of Daoism (Taoism). 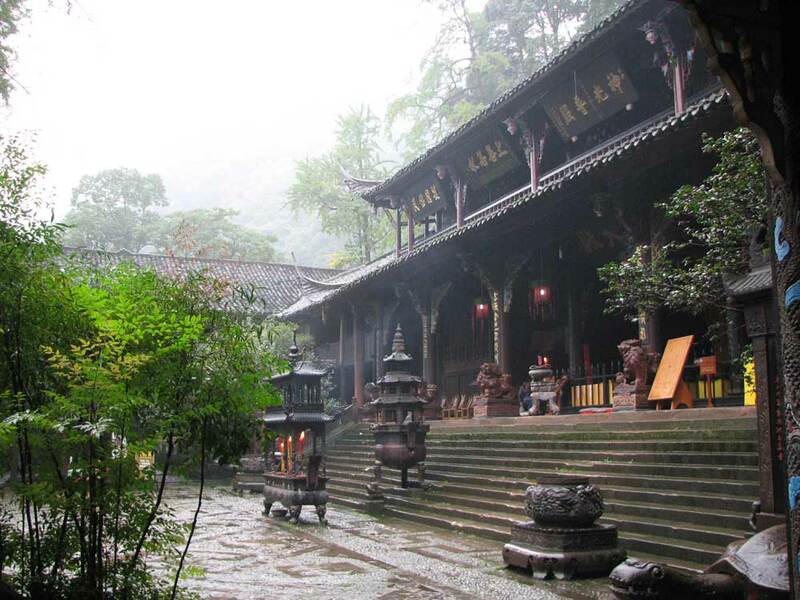 Since 2006 Qigong Master Simon Blow has built a special relationship with the Chang Chun – Eternal Spring Daoist Monastery in Wuhan, which is the governing temple of Daoism for Hubei Province. Simon is an initiated student of the Abbess Wu Cheng Zhen and a 25th Generation of Dragon Gate Daoism. We will spend four days studying meditation and Daoist scripture and philosophy with the Daoist Masters at the Monastery. Other healing arts that have originated from the Daoist tradition include Acupuncture, Acupressure Massage, Chinese Herbal Medicine, Feng Shui, Qigong and Taijiquan. Da Yan Wild Goose Qigong is a classic and historical Qigong practise dating from the Jin Dynasty, 1700 years ago. It’s healing and spiritual legacy has been passed down though many generations. The foundation of the Da Yan Wild Goose Qigong system is the 1st 64 movement set. We will receive direct instruction and guidance from the linage family in the peaceful grounds of the Eternal Spring Monastery. Another highlight of this training tour is a four day trip to Wudang Mountain; Wudangshan is one of the sacred Daoist Mountains of China and has a very special energy. We have been fortunate to visit this amazing place on many previous study tours. In places we visit you will absorb the powerful Qi, practice Qigong and meet Grand Masters. This is a tour of a lifetime, please book your place early as there will be limited spaces available. Total cost is $5200 which includes return airfare from Sydney flying China Eastern Airlines and visa application fee. All costs in China, including all transfers, travel, accommodation (twin-share in good hotels, single room supplement extra $700) three meals a day, tickets to attractions, Qigong training. China is a very cultural diverse society with a long, proud history. This year’s tour we will spend time in the north of this amazing country in the Inner Mongolian Autonomous area. These tours have an element of study combined with cultural activities and sightseeing. Travelling with a smaller, dedicated group allows us to move more freely and make morning Qigong practice an enjoyable way to start each day. On the September 2019 tour, we will gain a deeper insight into the Chinese health cultivation exercises at the Shanghai Qigong Research Institute. We will spend three days at the Institute studying an ancient Qigong practise called Liu He Gong (Six Unity Exercise) harmonising the Body, Breath and Mind, leading to the cultivation of Essence, Energy and Spirit. Our journey ends in Beijing as we gaze in wonderment at the Imperial Palace in all its glory, visit the Great Wall and peer into history as you follow with your eyes the Great Wall disappearing into the distant peaks. Beijing is a rapidly expanding city, maintaining elements of its ancient past and emerging future. During the 2020 tour we will gain a deep understanding of Daoism (Taoism). 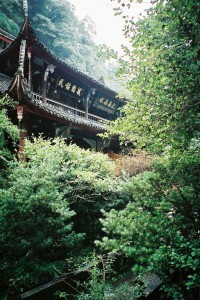 Since 2006 Qigong Master Simon Blow has built a special relationship with the Chang Chun – Eternal Spring Daoist Monastery in Wuhan, which is the governing temple of Daoism for Hubei Province. Simon is an initiated student of the Abbess Wu Cheng Zhen and a 25th Generation of Dragon Gate Daoism. We will spend four days studying meditation and Daoist scripture and philosophy with the Daoist Masters at the Monastery. Other healing arts that have originated from the Daoist tradition include Acupuncture, Acupressure Massage, Chinese Herbal Medicine, Feng Shui, Qigong and Taijiquan. On this year’s tour we will spend time in the north eastern area of China in Shandong province on the Yellow Sea. Shandong province is known for its Daoist and Confucian heritage and as having one of the best dining experiences in China. These unique tours have an element of study combined with cultural activities and sightseeing. Travelling with a smaller, dedicated group allows us to move more freely and make morning Qigong practice an enjoyable way to start each day. On the September 2020 tour, we will gain a deeper insight into the Chinese health cultivation exercises (Qigong) and meditation at the Shanghai Qigong Research Institute. We will spend three days at the Institute studying an ancient Qigong practise called Liu He Gong (Six Unity Exercise) harmonising the Body, Breath and Mind, leading to the cultivation of Essence, Energy and Spirit (Jing, Qi, Shen). Our journey starts in the great city of Shanghai, and then we catch a fast train to Qufu in Shandong province. Qufu is the home town of Confucius one of the great philosophers. Visit the historical temples and gardens and learn more about Confucian philosophy with a lecture from a university professor. We will go the top of Taishan one of the most sacred mountains, where the sun first touches China and where all Emperors would receive the mandate from heaven to rule. Also in Shandong province we will visit Five Finger Mountain, a Daoist Mountain and have discussions with the Abbott of the monastery about Daoist culture and ways of improving our quality of life. Other healing arts that have originated from the Daoist tradition include Acupuncture, Acupressure Massage, Chinese Herbal Medicine, Feng Shui, Qigong and Taijiquan While in Shandong we will have plenty of opportunities to sample the famous cuisine and have a cooking lesson.